"With languages we are at home anywhere." So to celebrate the speciality of our language. "SENTHAMIZH MOZHI", Our Tamil Department inaugurated "MUTHAMIZH MANDRAM" on 08.03.2017. Thiru. 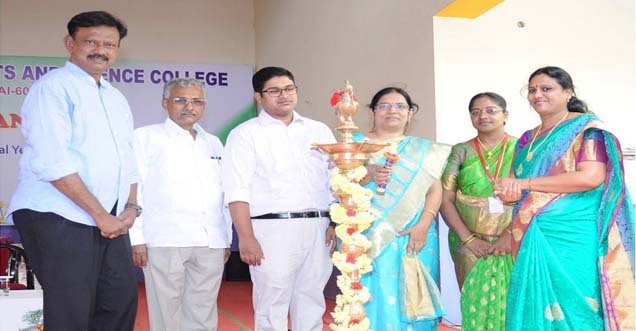 Bharathi Krishna Kumar inaugurated the function and orated about the importance of languages. He concluded his speech with the outstanding magnificent features of our Tamil language and encouraged the audience to learn and flourish it.